Blog What’s the One Natural Thing that Aids With Stress, Allergies, Sunburns, Sleep? If you were stranded on a desert island, you would want Lavender essential oil with you. Why? Because it is one the most versatile of all the oils. Lavender’s therapeutic uses were first documented scientifically when a French scientist, René Gattefossé (1881 – 1950), used it accidentally to help heal his hand and promote skin regeneration from a laboratory burn (it was the only liquid nearby and he plunged his hand into it after the burn). He was quite surprised at how quickly his burns healed with very little scarring. He is also considered the father of aromatherapy and the inventor of the word “aromatherapy”. NOTE: Lavender is also an emmenagogue (promotes menstruation) and blood flow to the pelvic area so professional care should be consulted before being used by pregnant women (and nursing women). Following is a list of just a few of the many uses of essential and therapeutic-grade Lavender oil, as well as how to find the best in therapeutic-grade oil. Many companies produce high quality oils, but most are not edible and pure therapeutic-grade. For the science minds reading this, the primary active organic compounds in lavender oil (Lavandula angustifolia) are linalool (a natural terpene alcohol) and linalyl acetate (a phytochemical that is an acetate ester of the first chemical, linalool). 1. 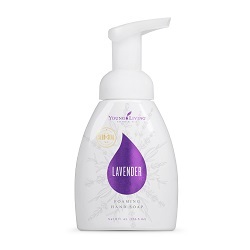 Skin irritations: Therapeutic-grade Lavender oil has been excellent in soothing and healing minor skin irritations. As long as the skin is not broken or raw, Lavender can be used to bring healing and soothing comfort to minor skin irritations. 2. Winding down before bed as an adult or assisting with sleep disorders – Many adults suffer from sleep disturbances and sleep disorders that range from mild to severe. At many levels, lavender oils and diffusing lavender into the room can help promote calm, restful nights and actually help a person regain some life energy by gaining more restful sleep. 3. Soothing and cleansing common cuts – In World War I, René Gattefossé experimented on soldiers in military hospitals by using Lavender and other antiseptic essential oils with quite positive results. This same oil can be used to help heal minor cuts by safely killing germs that prevent normal healing. 4. Insect repellant that is safe without side effects- Perhaps you have heard of all the dangers of using man-made insect repellents and the toxicity / build up of these kinds of chemicals in the world. Also, there are all kinds of home-remedy type insect repellents or oils that just don’t seem to do the trick. Lavender oil is a unique insect repellant that is safe, effective and has no side effects (except positively balancing the mood and stabilizing mental states). Before reaching for the next can of over-the-counter bug spray, try essential Lavender oil. 5. Can be used in a day spa for diffusing – Lavender is a nice oil for diffusing, cleaning the air, and bringing balance to any atmosphere. Diffusing it in a certain area of your day-spa can really bring a sense of balance and tranquility. 6. Sunburn relief – Lavender drops can be diluted in water to spray over sunburn to promote relief and healing several times a day. Try using Lavender instead of (or alternating with) aloe-vera gel and diluted apple-cider vinegar to help take away the heat and sting of sun-burn. 7. Soothing tension and headaches – Sometimes, rubbing a few drops on the temples and / or on the back of the neck or trapezius muscles can really help bring relief and reduce the headaches caused by tension. Try this before reaching for that bottle of ibuprofen or acetaminophen. 8. Reducing scar tissue – Be sure to consistently add Lavender oil to areas of skin that are wounded and beginning to heal to help reduce scarring and promote healing, while also experience the antiseptic properties of the oil. 9. Bath salts – Not only can Lavender be used by the drop in a relaxing bath, but it can also be mixed with pure bath salts and wrapped up to use later or for a gift for a friend or family member. 10. Improve concentration – Because of its ability to stabilize mood, reduce anxieties, and help calm the nervous system, Lavender has been reported by many to help improve the ability to concentrate by reducing other symptoms that can distract thought and the ability to focus. 11. Lavender infused tea and other drinks – Using Lavender in a nice cup of hot tea can help as a nice wind-down drink after dinner or with a decaffeinated tea before bed. It can also be used with a nice Chamomile tea or “Sleepy time” tea before bed or when trying to relax. I have seen first hand how fast it works on bee stings. A friend’s toddler accidentally stirred up a hive and ended up with 3 bites. She had a screaming, in pain, child one minute and within a couple of minutes after applying Lavender and Tea Tree oil he was fine. If a half dozen of us hadn’t been there to witness this, I’m not sure we would have really believed it. The treatment also took the redness and swelling down quickly. He seemed perfectly fine, but just to make sure she did the same mixture in another hour, and then one more time before bed. Next morning, happy boy, no further pains. Again, these are just a few of the multitude of uses. Now you can see why Lavender’s nickname is ‘Swiss Army knife of oils’. It is one to keep on hand at all times.